This is the second rye bread I am sharing . Here I am using a dark rye flour and I have left out the caraway seeds. This is another versatile bread. 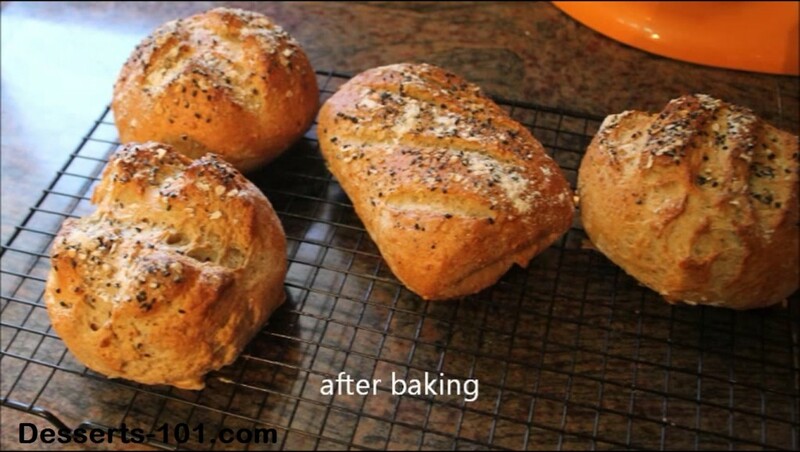 It can be made into one big loaf, 2 loaves, small rolls, or even 4 loaves as shown here. As with any bread you have plenty of lead-way how to go, the mixing techniques is the same, the differences come in with shaping and baking times. Of course smaller loaves/rolls/buns will take less time than one loaf, so bake it until it’s done or hollow sounding inside with a golden brown crust. Remember, once you try home made you will never want store bought again.